BEREA, Ohio (AP) — Baker Mayfield won't back down, won't change. Not for Hue Jackson or TV commentators or critics or anyone. Don't bother telling Cleveland's rookie quarterback how he should act, what he should say or how he should feel. "I'm not a cookie-cutter quarterback," Mayfield said. "Never have been, never will be." Dismissing some condemnation for recent comments and actions, Mayfield doubled down on Wednesday by saying he doesn't regret calling former Browns coach Hue Jackson "fake" and promised to stay true to himself. 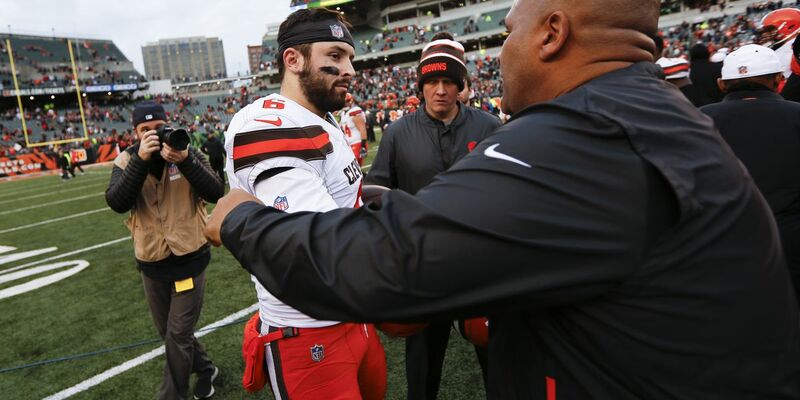 After throwing four touchdown passes and leading the Browns to a 35-20 win on Sunday in Cincinnati, Mayfield was cool toward Jackson when they met on the field and then said he was unhappy with the coach's decision to take a job with the Bengals, a division rival, just weeks after he was fired by the Browns. 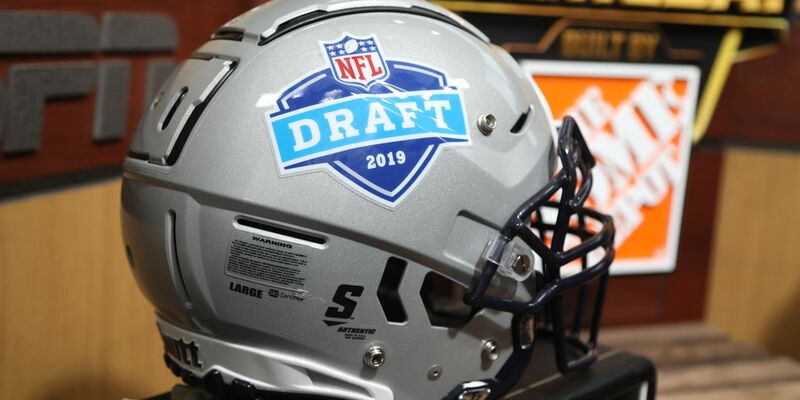 Mayfield's remarks drew some harsh criticism, especially from ESPN's Damien Woody, a former NFL player who called the 23-year-old immature and hypocritical because he transferred from Texas Tech to Oklahoma. Mayfield fired back at Woody by posting a comment on Instagram assailing Jackson, pointing out he lost 30-plus games with Cleveland, labeling him "fake." Mayfield isn't taking back a single word. "People took it as me personally attacking Hue, but that's not it," he said. 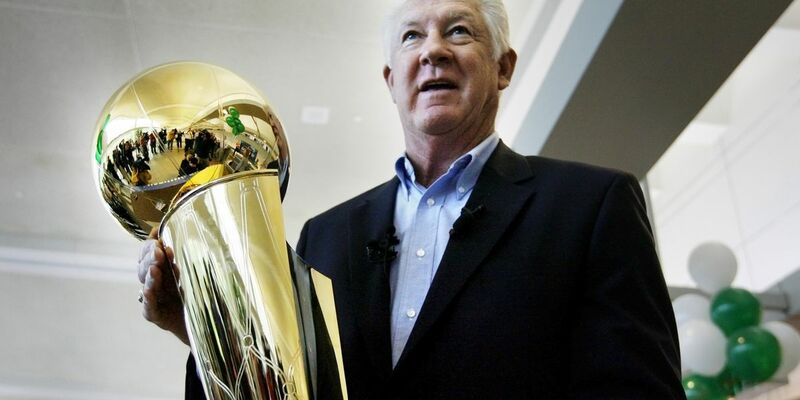 "It's the fact that I get to have my own opinion on how it transpired and he gets to do what he wants. That's how it is. I speak my mind. That's just how I am, so I didn't like the (Jackson) move and people don't have to care. I'm not looking for anybody's approval. I don't regret any of it. It's about this team and what we have, and we have to stick together and play together." "People get maturity confused with me being 100 percent comfortable in my own skin," Mayfield said. "It's not immature. It's me being exactly who I am every day. Being that same guy for our team and I think that is very important for us right now." Mayfield declined to elaborate about his relationship with Jackson, saying "it's in-house information and it doesn't matter." But Mayfield's conduct has struck a nerve — in Cleveland, where he's being hailed as a franchise savior, and across the NFL, which is taking note of a Browns team making some noise. This is the swaggering, headband-wearing, flag-planting Mayfield the Browns knew they were getting when the team selected him with the No. 1 overall pick. 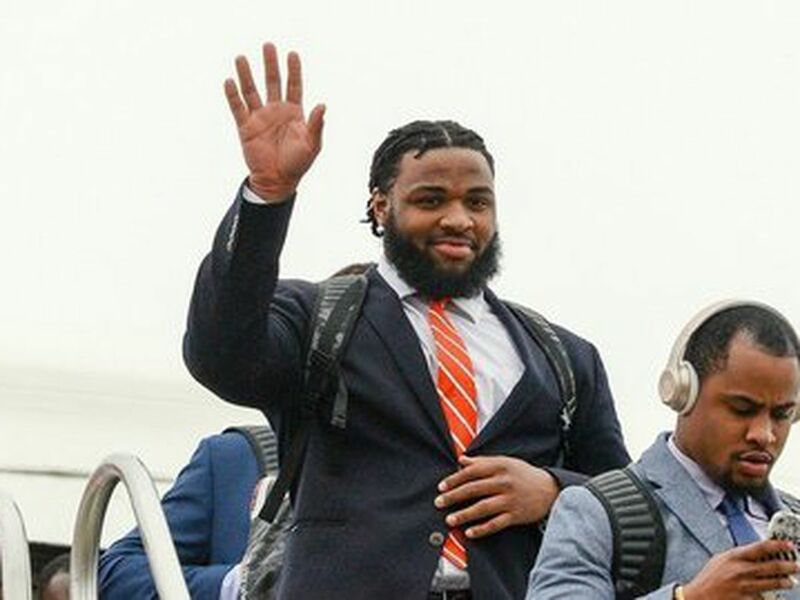 He arrived carrying a Heisman Trophy but with other baggage, which included some questionable on-field antics — and an off-field arrest — that concerned some front-office executives but didn't dissuade the Browns. Mayfield insists he's just being himself, and he'll deal with detractors the way he always has. "I have an opinion and I'm entitled to that, but the most important thing is me doing my job and I can manage both, and that's what people don't understand," he said. "Yeah, a quarterback that's a little different from some of the guys to have a voice, but that's just how I've always been and I'm not going to change for anybody." Mayfield's relishes the rebel label. It fuels him, fires up his teammates and has endeared him to Browns fans, who believe the future is bright. But while he loves being the outsider, Mayfield knows there's a segment of people who wish he would tone down his act and behave more in line with Drew Brees or Peyton Manning. That's their opinion, though. Mayfield is going to be his own man. "They are their own person. I'm not trying to be exactly like them," Mayfield said. "Yeah, there are things that I absolutely admire about both of those guys, but I'm never trying to be anybody else. I'm going to be the best version of myself and that's what has gotten me here." It's gotten the Browns back to playing meaningful games in December. "If you look at Baker's body of work since he's been here, I think it's shown that he's a confident, sometimes cocky player, but you need to be that to be a quarterback in this league," Bitonio said. "People go about it differently and he plays the game the right way, he works the right way, he does things the right way and I'm happy he's our quarterback."